Viacom is launching Paramount Network, targeting "Generation X" and Millennials, next month on Freeview, YouView and Sky. 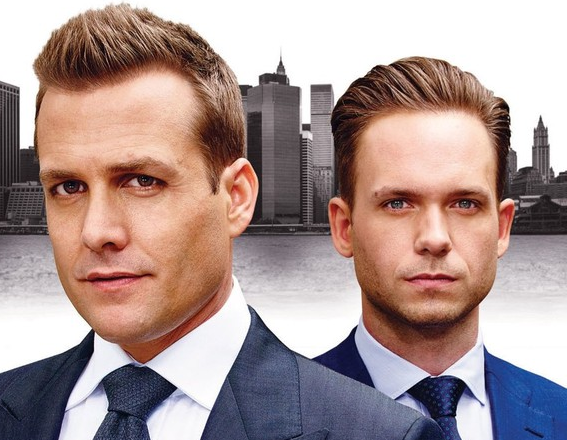 The new channel will feature the free-to-air premiere of Suits season seven (pictured), the last series featuring Meghan Markle (previously Suits has been shown on Dave) as well as Kiefer Sutherland drama Designated Survivor. Viewers will also be able to see the latest episodes of Will and Grace and the premiere of Lip Sync Battle (previously shown on 5Spike). Sci-fi highlights include Heroes Reborn. "Paramount Network is set to deliver high-end Hollywood entertainment with blockbuster movies, scripted drama and critically acclaimed comedy featuring some of the biggest names on the planet." Viewers will be able to tune in on Freeview and YouView based services (e.g. BT/TalkTalk) on channel 57 and on Sky channel 159, according to today's announcement. Other platforms have not been announced so far. Freeview channel 57 is currently held by 5Spike+1 in some parts of the UK, which is only live for a short time overnight - a tactic used by broadcasters to hold a Freeview channel number for future services. The multiplex hasn't been announced, although a slot is available on SDN, which reaches 90% of the UK, taking the bandwidth previously used by ITV3, which was originally swapped with Channel 5 as part of the 2009 agreement to clear capacity for HD broadcasts during digital switchover. Sky channel 159 is currently used by Together - the new name for the Community Channel. It's currently not known where this channel will end up on Sky.